See the beauty. Hear the music. Meet the people. 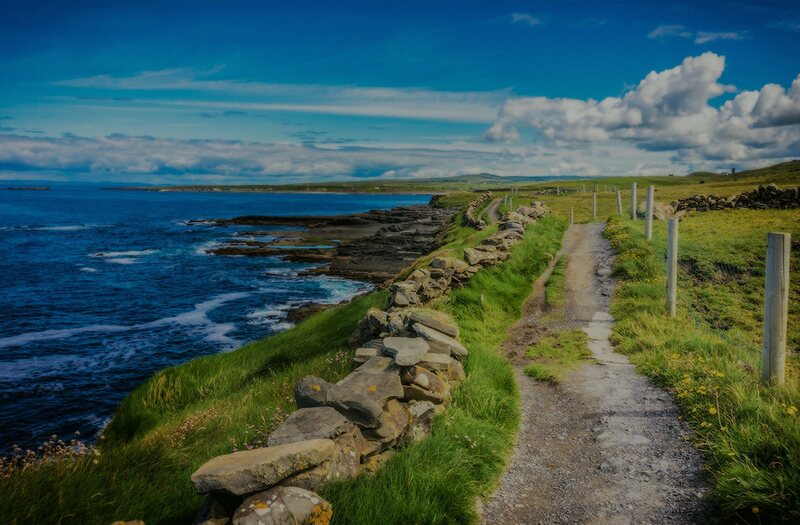 Situated on the Wild Atlantic Way, boasting some of the most breathtaking scenery in Ireland and with a colourful and welcoming village ready to host you during your stay, Doolin has something for everyone. Located on the edge of the historic Burren in northwest County Clare, and within easy reach of the majestic Cliffs of Moher and the unique Aran Islands, Doolin’s dramatic landscape cannot easily be forgotten. Doolin is the home of traditional Irish music, with plenty of music and craic to be had every night. You can take a clifftop walk breathing in the crisp, salty Atlantic air while appreciating the beautiful wildflowers, explore the rugged landscape or go on an Atlantic cruise to appreciate the unique coastline from a different perspective. Adventure is waiting for you in Doolin! Doolin is a vibrant place full of characters, stories and experiences and is home to some of the region’s best accommodation, eateries and beautiful local shops. The people of Doolin are passionate about their community and look forward to welcoming you with open arms.